Here at Anestis Metal, we recycle all types of metals, including Brass! 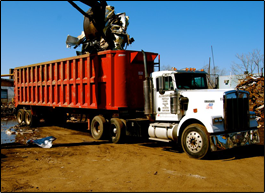 It doesn’t matter the quantity of the brass, we will recycle just about anything; so if you’re a homeowner, plumber, electrician, architect, or none of the above, come one down to our scrap yard in Somerville MA, recycle some metals, and get some cash! The most common type of brass is yellow brass, and it is used for products like, faucets, tubing, and castings. The value of brass does change regularly, so be sure to call us before you come to our scrap yard, to make sure you get the most out of your recycling duties!